The IFSCL is a unofficial game, professionally made by a passionate fan for more than 9 years, an interactive reproduction of the interface of the supercomputer that Jeremy uses at the factory, but also a 3D adventure game that happens within the 'real' world of the series. 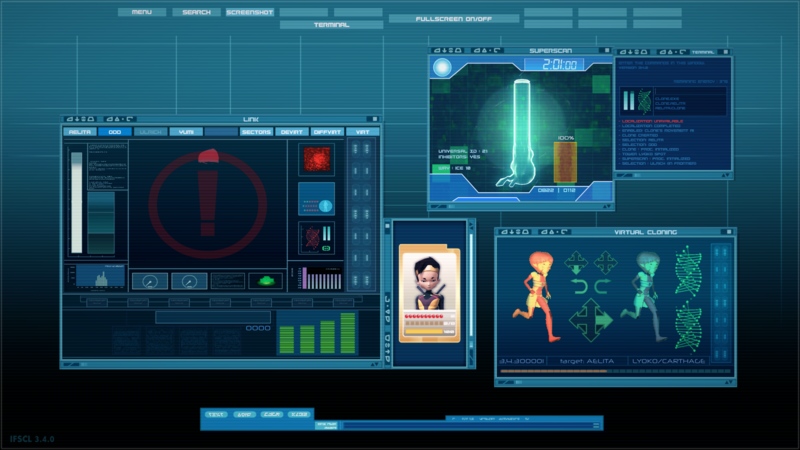 - A completely original game, based on Jeremie's actions in the original Code Lyoko series, with scan procedures, virtualization and other cool commands to enter with your keyboard, with a playful hierarchical basis. - A sandbox mode where everything is possible, and a campaign mode with missions that allows you to learn all the commands trough interactive scenarios, and guided with Jeremie's video diary. 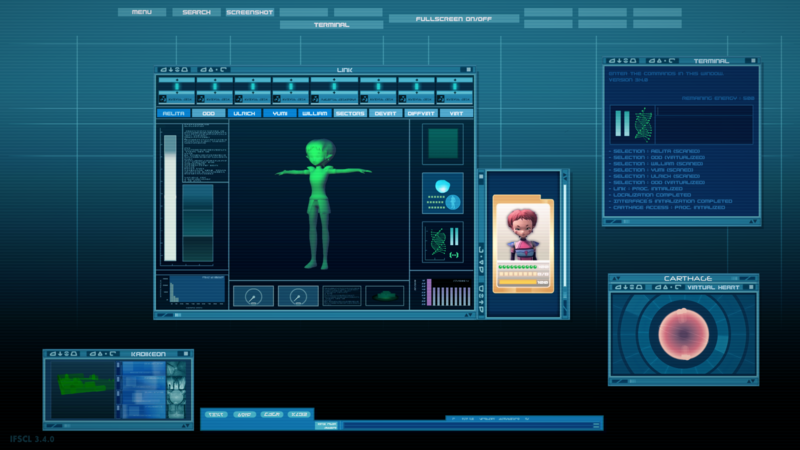 - A really big importance given to the exact reproduction of the original interface, on sound design, graphical design and animations. - The will of adding every system and program that appears in the TV show, and let the players the access to in-development versions of the game. 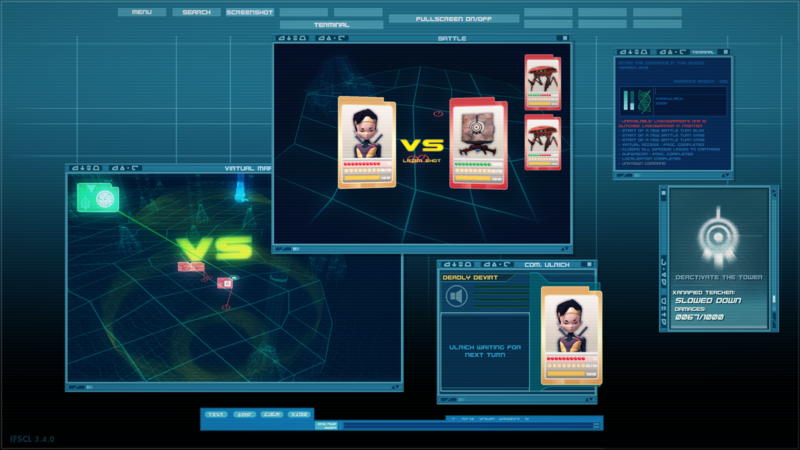 - A multilingual interface, and so a really active and multicultural community, from many important points on the Internet: CodeLyoko.Fr, its forum, the website of independent games IndieDB and the social network Facebook. "I arrived on the CodeLyoko.Fr forum with Ambron's game project that I was following, that was a Star Wars Jedi Academy mod. Inspired by the work of Keuppa on his LyokoInterface, I've started to work on IFSCL two years before the official public announcement and release, because I was a beginner in code, and did not want to show something too bad. Creating my first pipeline productivity work, I realized that the development would be long, and that in order to keep my motivation, I had to shown it to the public before, to do tests. In that point of view, I quickly decided to make multiple versions, working by iterations, and posting the first version: the alpha, the next part, I guess you know it. 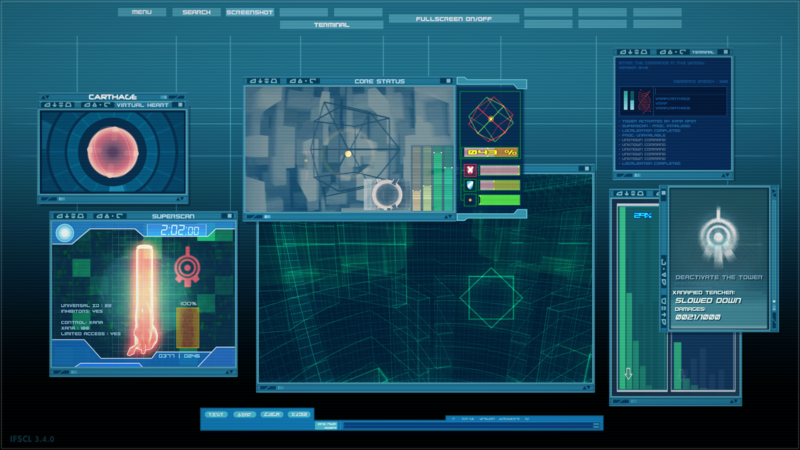 If not, it won't be hard to discover..."
Migrating from the defunct paradox-upsilon, the IFSCL arrives on CodeLyoko.Fr! In the middle of all the community's fanprojects existing on the net, in the middle of all the best fanprojects CodeLyoko.Fr promotes in its fanprojects and partners sections, why does the IFSCL hold such a prominent place, deserving its own drop-down menu right on the homepage of CodeLyoko.Fr? The answer is below! Firstly, the IFSCL is a large-scale, original and extremely useful project. The identical reproduction of a key element of the series (Jeremie's terminal) accessible to all in high quality, and not to mention for free, is simply a blessing for the community. The IFSCL is an emblem. 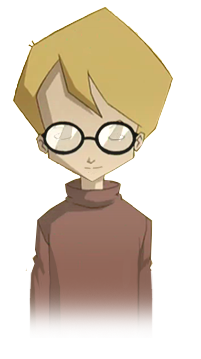 It's the emblem that characterises the Lyokofan family: an informal group of people who are however united by a common passion: Code Lyoko. A passion so fiery that it drives us to deepen ourselves into the same Universe of the series through fanarts, fanfictions, analytical documents, the list goes on. Boundless creativity that illustrates the limitless enthusiasm of fans for the series. The IFSCL is then a consistency. It's not the little fanproject that we encounter on the forums. Immu isn't the little member who imagines the moon but has his feet stuck in the mud on Earth. Immu achieves his ambitions. His work, meticulous, hard and long-term remains modest. Immu develops the IFSCL sporadically but in a constant manner. He increases the demand for excellence and attention to detail before impatience and the excitement of an announcement. The IFSCL is high quality and a show of talent! Expanding on this point verbally is useless... Watch this one presentation video: you'll be convinced. The IFSCL is also a culmination! Thanks to his prudence and sense of priorities and a job well done, Immu has offered the community a totally complete masterpiece. Of course, that doesn't mean that he's stopped developing the IFSCL, far from it! He's still working and adding features, missions and other things. But if something dramatic happens and Immu is run over by a bus, even without new developments, the IFSCL is functional and complete. Any fan, be they new or old, can install it on their computer and enjoy it. Nobody will come across the unpleasantness of having it feel interrupted or left off at any point. Finally, the IFSCL and CodeLyoko.Fr are new perspectives! This project merits maximum visibility in the community. For CodeLyoko.Fr, it's a chance and honour to give it this possibility. 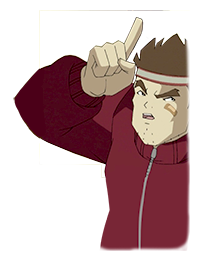 The presence of the IFSCL on CodeLyoko.Fr is the illustration of the team's dream: create a central site, a mother to the LyokoFan community where fans can find the best of EVERYTHING on the series. And the IFSCL is the best fanproject. I now conclude in saying that the IFSCL's presence on CodeLyoko.Fr will be harmonious because Immu's spirit and our own are on a common wavelength: provide the best for the LyokoFan community, free, without advertisements, nor financial interest. Welcome to the IFSCL. Long live Code Lyoko and long live the Empire. - Since version 2.0.5, a special program in the IFSCL called “Immu's Room” can be opened with a code that Immu gives soon after the release of the new version in a news post. 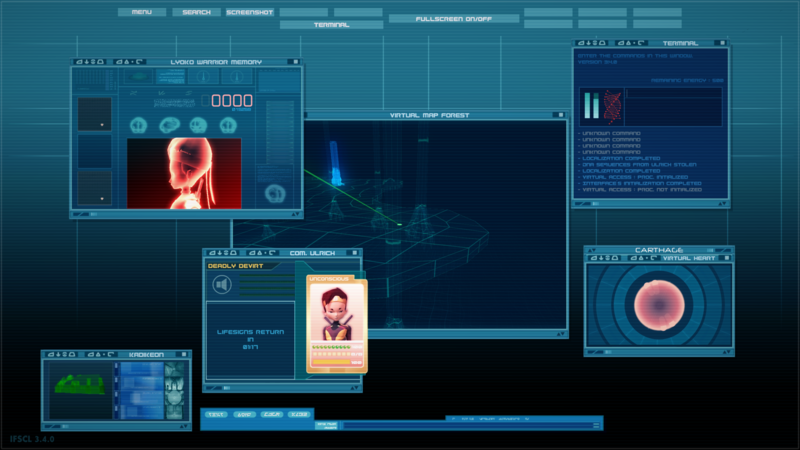 That room allows the player to discover graphical clues about future things that will be contained in the future of the IFSCL. - The first music under which IFSCL has been made, and that will send his author in a big nostalgia wave, are Heaven, Must Be Missing an Angel, and more interestingly... Love Foolosophy, the Jamiroquai song used in the end of Garage Kids! 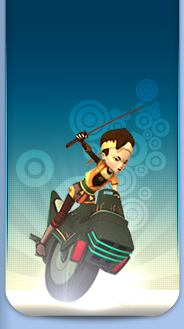 - Around version 1.5.0, Immu has started to realise another Code Lyoko game project, a mod for the strategy game Star Wars: Empire at War, like the RA2 mod of Kikou "Code Lyoko The Game". But seeing that not many people were interested in that project, he has cancelled its development.